Before we get to the gadgets, we also wanted to take this opportunity to highlight the need of those impacted by Hurricane Matthew. Two such organizations will be assisting those affected, Operation USA and Doctors Without Borders, both of whom could use all of our support and attention. Last week, many of us had the displeasure of meeting Hurricane Matthew firsthand, a historical force of nature that took lives, homes, and parts of cities. Weather systems like these are no joke, and there’s a reason why government officials and first responders give explicit recommendations to evacuate, stay indoors, avoid flooded roads, and adhere to curfews. Regardless of the choices people make, we strive to stay informed, keep our devices powered, and be able to communicate with those around us. While the basics are helpful, they are still the basics for a reason. They will help keep you informed on the latest updates from the likes of NOAA, but the less-basic things will help get you through the worst of it. And then, of course, there are the things to help us out after disaster strikes. Motorola TALKABOUT T480: The latest Motorola TALKABOUT T480 helps families stay connected when the unexpected hits. 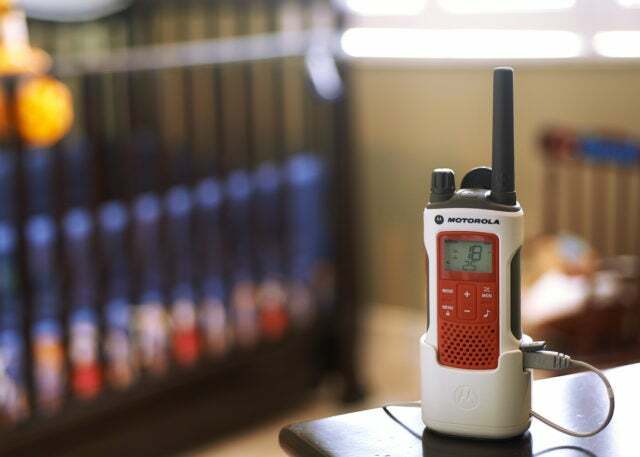 It comes with a wall/desk stand accessory, so can be used as a traditional weather alert radio or as a two-way radio. The wall, desk stand allows it to remain fully charged at all times, so users don’t have to worry about battery drain. And, still receive NOAA weather alerts automatically.. There is a flashlight that also automatically turns on when there is a power outage. And the T480, features an emergency alert button, safety whistle belt clip, NOAA weather channels for continuous updates and alerts, an FM Radio and up to 35-mile range. (See image). Acquapodkit: One of the suggestions people are given during a natural disaster is to fill up their bath tubs with water in the event that the water system is damaged, but do you really want to drink from that? Sure, you can, but with the Acquapodkit you can line the tub instead. ZeroLemon Solar Charger: During a storm you may not get a lot of sunlight, but once things calm down you may be without power. Place this solar charger by a window or outside for it to collect the juice you need to stay in touch with people. This features a dual output port for charging multiple devices and a 20000mAh capacity. Poseidon: This ultra-rugged portable charger and light was built to handle anything and everything. The Poseidon is IP68 waterproof (fully submersible) and surpasses military drop-testing standards. 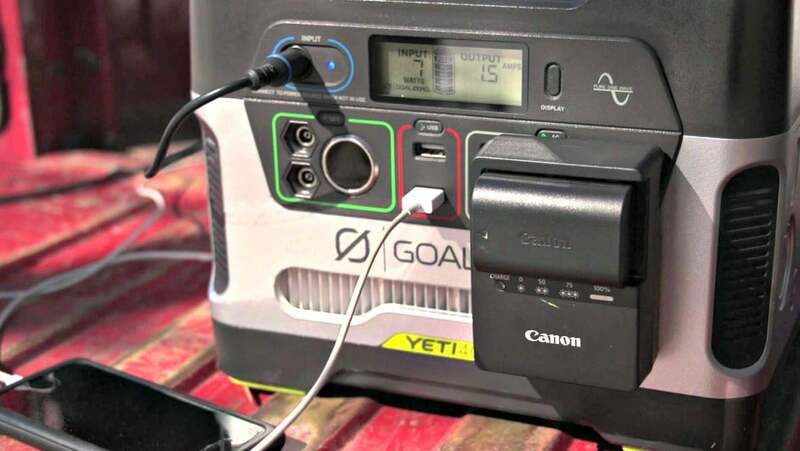 With two charging ports capable of a combined 3.4 amp output, there is no better way to keep all your devices charged in the field. goTenna: The pen-sized Bluetooth device allows you to stay connected and pairs with your smartphone, allowing you to send text messages and location information to any other goTenna users up to several miles away, completely off-the-grid. A goTenna battery lasts a full 24 hours, is easy to set-up and use with the app, and most importantly offers a dependable, high-tech buddy system. LifeStraw Go 2-Stage: LifeStraw Go 2-stage filtration incorporates a carbon capsule in addition to the existing award-winning technology into a refillable water bottle so you can access safe drinking water with you on the go. Generac semi-trash water pump: When Hurricane Matthew came through, Charleston was hit with huge storm surges, resulting in a lot of flooding. So much so that I was able to feed ducks from my front window and kayak to the island behind my house. It was not ideal. A waterpump would not have helped while the water was still rising, but after the fact it would have displaced it from getting into further inside. Generac Homelink 6500e: If you live in an area prone to hurricanes, high-winds, and tornados, chances are you are going to lose power. Even if your lines are underground, at some point in the system your power can get knocked out. The homelink can be setup to either be portable or connect to your power grid and automatically activate when there is an outage. Like the various Red Cross apps, FEMA’s official app focuses on both emergency preparation and alerts. From Weather Underground, this app is both visually impressive and as helpful as the NOAA app, but is designed to simply track storms. For hurricanes, tornados, earthquakes, floods, and wildfire, Red Cross has an app for each. These will help you prepare before, during, and after a situation occurs, while alerting you to the nearest shelter and updates. This free app will show you the latest path of a hurricane, flood warnings, and other weather related warnings. This unofficial NOAA app is available on iOS and Android. Certainly not the worst outcome, but one nobody wants to face, natural disasters can lead to a loss of property and things. With Home Inventory ($30), you can track and record important information about your valuables and use this for insurance purposes.